Quite frequently, I see on social media people asking questions like “Can I feed my veg peelings to my pigs?”, “I have this out of date cabbage in my fridge, can I give it to my sheep?” or “is it ok to feed this leftover supper to my livestock?”. It’s not uncommon for people to respond with “Sure, we do, never had a problem” or “If you’re not a farmer it fine”. The answer should always be “NO”. 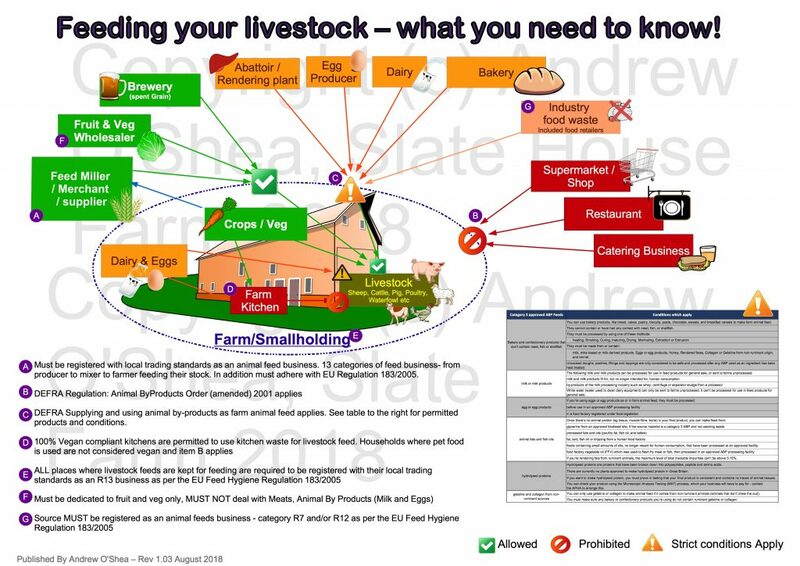 Whether you are a smallholder, hobby farmer, back garden livestock keeper, “micro”/pet pig keeper or commercial farmer the UK laws on livestock feed apply – there are no exceptions. 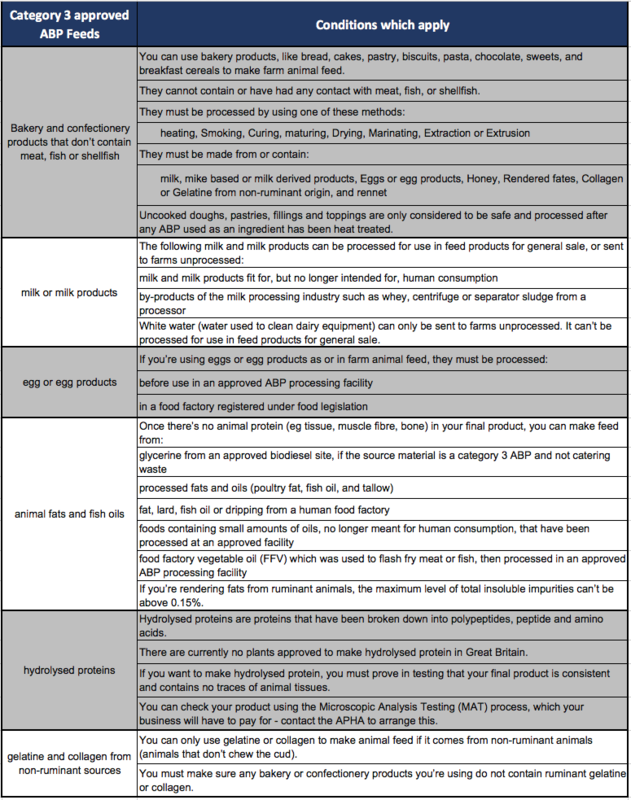 The finding, following the 2001 epidemic lead to the government reviewing the Animal By-products Order 1999 and making significant changes to the order and produced the Animal By-products Order (amended) 2001. Although the changes are not limited to, a large portion of the amendments are in the feed regulations – which are in place today and continue to be tightened. Fruit and vegetables that have come straight from the land to your livestock and not via a kitchen, produce packing centre or similar type facility. There are food wastes that can be fed, ill cover these shortly. If you collect the windfall apples from your trees, or pick your excess garden veg and feed straight to the livestock you’re fine. But if you take your garden produce to your kitchen to prepare for eating and then take the peelings and chopping’s to your livestock you’re breaching the UK Laws. At the end of the day if you are unsure if a food is suitable do NOT feed it to your life stock, if you require guidance and help please reach out to your local Animal Health, Food Standards Agency or Trading Standards, you can normally find their contact details via your council’s website.